Owing to its frequency, it gets old. But apart from that, the response also intrigues me. It is different than the response comedians complain about, where, upon learning of their peculiar profession, new acquaintances will fold their arms and scowl, “Oh yeah? Then say something funny.” Instead, the “you should write…” remark is approving, a kind of conspiratorial wink-and-nudge. 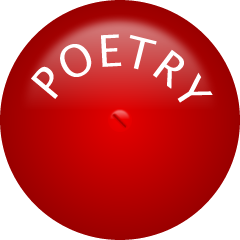 It is as if, through our conversation, they have stumbled momentarily in to the head-space where I, as a poet, must constantly reside — a land tinkling with musical profundity and linguistic charm. Alas, that ain’t always where I’m at. Sound like some of the stuff you’ve sat through at dive-y cafe open mics? Sound like some of the stuff you’ve sat through written by perpetual intellectuals with little life experience? Sound like some of the stuff you’ve sat through by the most defended, guarded, insecure members of your writing workshop? Based on this little bit of research, I have a new theory about why people sometimes write this way. Think of the people that write these poems. What do they want you to think about them — not their work — but them? That they are, in fact, enigmatic, lost, dark. They wear poetry like clothing (a beret, say) and write to be considered a writer. That you don’t understand gives them a sense of power, and that you are afraid to admit it gives them more. By making art about the artist, rather than the work itself, we can so quickly loose sight of the audience and the most powerful possibility of artistic expression: to communicate. Next time you are about to choose the word “accessible” to dismiss someone’s poetry as simplistic or trite (which are better words, if that’s really what’s going on) — I implore you to consider all the antonyms above. Is that what you want to be encouraging in poetry?